The one thing you should never say is "Now I've heard it all." Especially if, like me, you are an aficionado of woo-woo. If you are a regular reader of Skeptophilia, you have followed me through investigations of Florida Skunk Apes, the discovery of the Millennium Falcon on the floor of the Baltic Sea, plastic cards that will impart "Scalar Energy Fields" to the water you drink, medicines that you download directly into your body, and countless examples of Jesus, the Apostles, the Virgin Mary, and (in one case) Bob Marley showing up on a variety of food items. And each time, it's been tempting to say, 'Now I've heard it all." If you did, in fact, say that, you're gonna regret it. Don't say I didn't warn you. Her apartment was infested by bedbugs, and it cost $7,000 to get rid of them. Her husband was in an automobile accident, and afterwards came down with a rare autoimmune disease. Her daughter was suspended from second grade for putting on a rubber glove and grabbing a classmate, and then blamed the odd behavior on "hearing voices in her head." And instead of doing what most of us would do, in such unfortunate situations -- including saying to our kid, "Why the hell did you bring a rubber glove to school?" 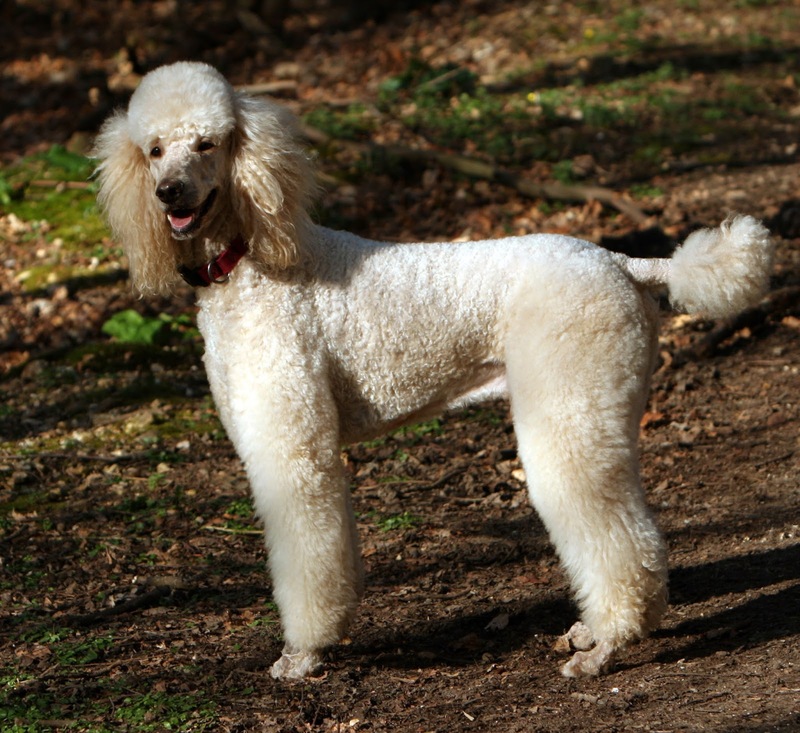 -- Horvat evaluated the evidence, and came to the inescapable conclusion that the whole thing was due to her poodle being possessed. Amongst the claims she makes in Paranormal Pooch -- and believe me, there's enough fodder for skepticism in there that I could go on all day -- my favorite is that dogs with pointy ears are more susceptible to possession than dogs with floppy ears, because "The spirit can get in there easier." Myself, I would think that if a spirit is capable of causing your spouse to get in an automobile accident, it would be capable of lifting a dog's floppy ear to get inside. But what do I know? In any case, Horvat solved the whole thing by inventing, and selling (c'mon, you knew she was selling something) "electromagnetic shield pendants" to protect humans and pets from demonic possession. They only cost $197, which is a comparative steal considering the cost for exterminating bedbugs. It's received rave reviews, mostly from other wingnuts, including Joshua Warren, renowned psychic investigator: "A CHILL ran down my spine while reading Olga Horvat’s Paranormal Pooch. Why? Because her story is so real and her emotions so palpable." Well, all I can say is that my definition of "real" and Mr. Warren's seem to differ somewhat. The sad postscript to the whole thing is that four months after she was successfully cleansed of evil spirits, Princess herself fell down the stairs and died. Maybe she was grief-stricken after losing her satanic companion, I dunno. I do know one thing, though; I hope like hell that Horvat is never allowed to own another dog. Because it sounds, all joking aside, like she is not someone who should be trusted to give appropriate care to a pet. But I have strong feelings about how animals are treated, and maybe I'm being unfair, here. Oh, and one other thing: now I've heard it all. Hahahahaha! You are going to have to eat your words you know. You'll see something worse (better)?